Tampa Electric Manatee Viewing Center is celebrating its 33rd season this year. Pictured is a mother manatee and her calf. 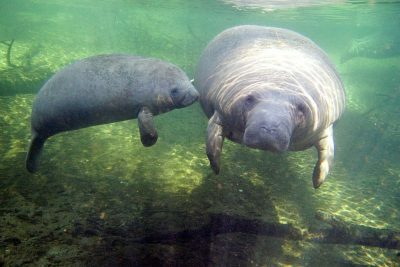 Tampa Electric’s Manatee Viewing Center, South Shore’s most popular attraction, is open for its 33rd season. With the area’s unseasonably warm weather, only a few of the gentle giants have recently popped by to check things out before heading back out into the bay, said Senior Environmental Technician Jamie Woodlee. But as we begin donning our sweaters and jackets, they’ll be back with hoardes of others. When Tampa Bay’s water temperature dips to 68 degrees or colder, hundreds of manatees seek refuge in the warm-water discharge canal at Tampa Electric’s Big Bend Power Station. They’ve done so since the early 1970s. For now, it’s pretty quiet in the canal, but sea cows aren’t all the Manatee Viewing Center has to offer. The Manatee Viewing Center’s Touch Tank provides visitors an up-close experience with its seasonal visitors, cownose and southern stingrays. 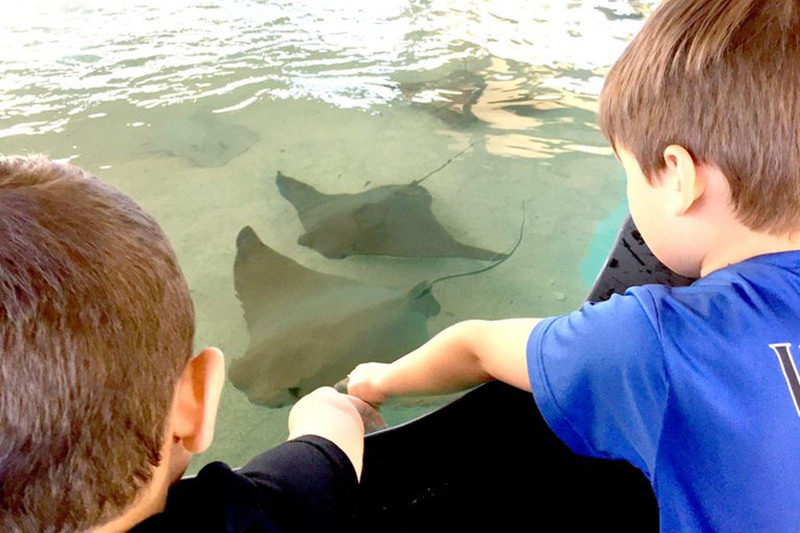 Visitors enjoy the center’s stingray touch tank, where they get an up-close experience with cownose and southern stingrays. 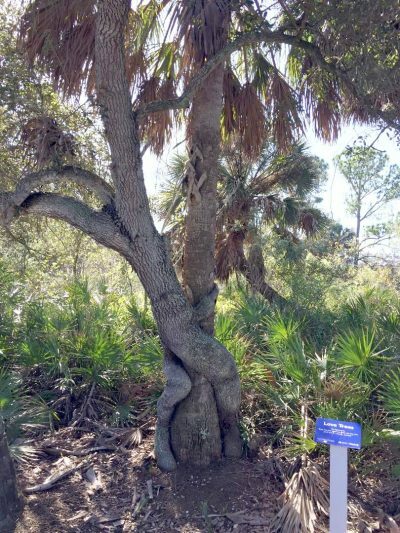 There’s also an environmental education center with colorful displays and interactive activities; a 900-foot tidal walk surrounded by native and coastal plant life; looped nature trail; 50-foot wildlife observation tower overlooking the Tampa Bay Estuary; Florida-friendly landscaping and butterfly gardens; picnic area; gift shop and souvenir photo stations. There’s even a hurricane simulator. The viewing center has a few paid employees but is staffed primarily by about 40 volunteer docents. They assist visitors, provide information about manatees and the viewing center and answer questions. Retired TECO employees also help run the facility. 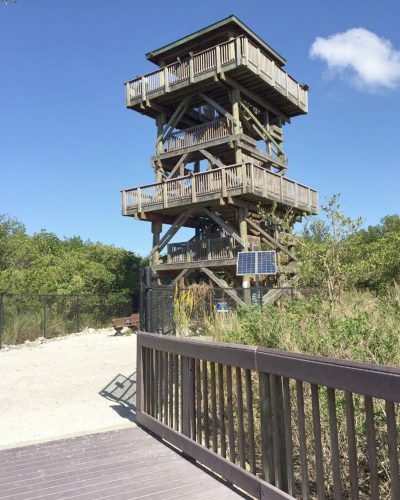 The Manatee Viewing Center’s 50-foot observation tower provides a panoramic view of the Tampa Bay Estuary. The award-winning Manatee Viewing Center is at 6990 Dickman Road, Apollo Beach. Hours are 10 a.m. to 5 p.m. every day except Thanksgiving, Christmas and Easter. It closes at 3 p.m. Christmas Eve. The facility is ADA-compliant and completely accessible. Each season, the 50-acre Manatee Viewing Center draws nearly 400,000 visitors. For more information, call 813-228-4289 or visit www.tampaelectric.com/manatee. WHEN: Nov. 1 through April 15; 10 a.m. to 5 p.m. daily; closed Thanksgiving, Christmas Eve (open until 3 p.m.), Christmas and Easter. INFORMATION: Call 813-228-4289 or visit www.tampaelectric.com/manatee. One of Florida’s only two known love trees, twisted combinations of an oak and palm tree, can be seen along the looped nature trail at the Manatee Viewing Center.